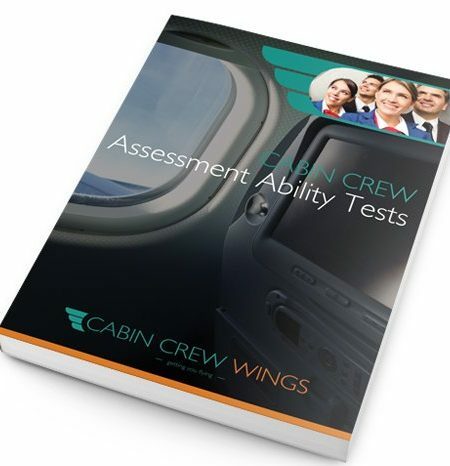 This eBook is packed full of all the inside help and expert guidance to make sure you fly through every stage of your airline assessment, from start to finish, without any worries. 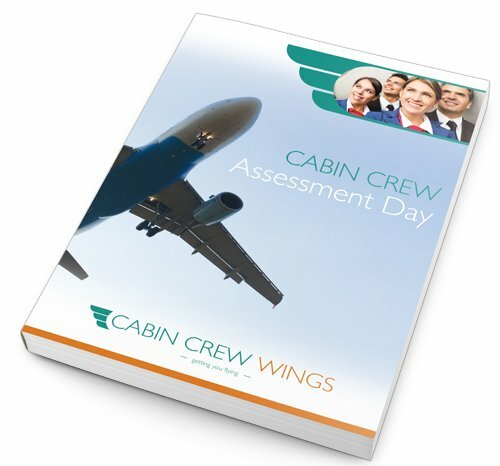 Although we do suggest you attend our 2 day course to give yourself the very best chance of getting a cabin crew job, if you can’t make then this workbook will definitely help you. I’ve been accepted for the training course!! I am absolutely thrilled to say the least! My dream job could be starting as soon as 8 weeks time ! Apply clever strategies to make sure your assessment day performance is memorable enough to land you a job! So what makes this workbook so important for your career? The practical tips on CV and application forms- most applicants submit very poor CVs, but with our help you will never be turned down again! The examples it provides, so you don’t have to feel in the dark about what they expect at your selection/assessment day. Guidance which holds your hand through different steps until you are preparing top quality answers, the easy way! Cabin Crew Wings has a fantastic reputation for delivering what we say we will. We get amazing feedback from our 2 day courses and all our eBooks. Even better our results speak for themselves with all the wonderful emails we get each week from people, like you, who have been offered a cabin crew job (often with more than one airline!!) We have helped people of all age groups, nationalities, backgrounds… and would love to help you too! And if you aren’t sure the ebook was right for you, we will refund your money. So you have nothing to lose, but a new career to gain! This workbook is the ideal way to invest in your future as cabin crew without spending a fortune. (plus as it is a PDF you get your copy instantly so even if your assessment is tomorrow you will be well prepared. This work book is without a doubt the most thorough information I have ever read to do with getting your dream job as Cabin Crew. This is the “must-have” ebook for cabin crew wannabes. It covers everything we need to know. Ever since I acquired all these knowledge/info, I was called for an assessment day of many airlines!! I wish I had known this workbook and cabin crew course much earlier. Strongly recommended! This manual has assisted me greatly throughout my journey to successfully attaining a position as Cabin Crew. I have referred to it for research, CV applications and the ‘all important’ interview. A highly recommended read. I really liked to work with this workbook, especially after the training. I loved the “STAR” method. It helped me a lot to get ready and discover my weak points. Many of the things covered in the workbook is totally transferable, so it will help you out in any interview situation. This is a must have guide if you are thinking of applying for a cabin crew role. The workbook helps you to put your skills to the test so that you are fully prepared for interview. It includes so many tips and valuable information that I hadn’t seen before including practice questions that made me feel confident on the day, resulting in my success at interview! Absolutely worth purchasing!